The National Wildlife Federation submitted over 16,500 comments to the Bureau of Land Management (BLM) today in opposition to risky mining that jeopardizes the Boundary Waters Canoe Area Wilderness. The BLM proposes to renew two expired sulfide-ore mining leases for the Twin Metals Minnesota LLC in the Superior National Forest in the Rainy River Watershed, which includes the Boundary Waters Canoe Area Wilderness (BWCAW). The comment period closes today. The Boundary Waters Canoe Area Wilderness is the most popular federal wilderness area in the country, encompassing 1.1 million acres open to hunting and fishing, boasting 1,500 miles of canoe and kayak trails, and providing habitat for 230 species of wildlife. Toxic waste from sulfide mining is extremely damaging to fish and wildlife, and not a single one of 3,000 sulfide mines has ever operated without damaging environmental releases. 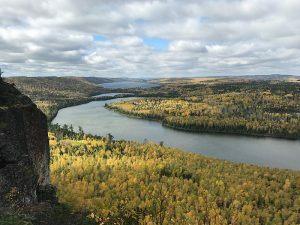 A sulfide mine within the Boundary Waters drainage would directly imperil the fish and wildlife habitat and outdoor recreation opportunities it provides. In 2017, the U.S. Forest Service requested a 20-year moratorium on mining in the Rainy River Watershed drainage in the Superior National Forest. They are conducting an Environmental Assessment, not yet completed, of the withdrawal request to determine the threat of sulfide mining pollution to the watershed. The National Wildlife Federation’s state and territorial affiliates adopted a formal policy resolution opposing sulfide mining in the watershed of the Boundary Waters Canoe Area Wilderness at its 2015 Annual Meeting.